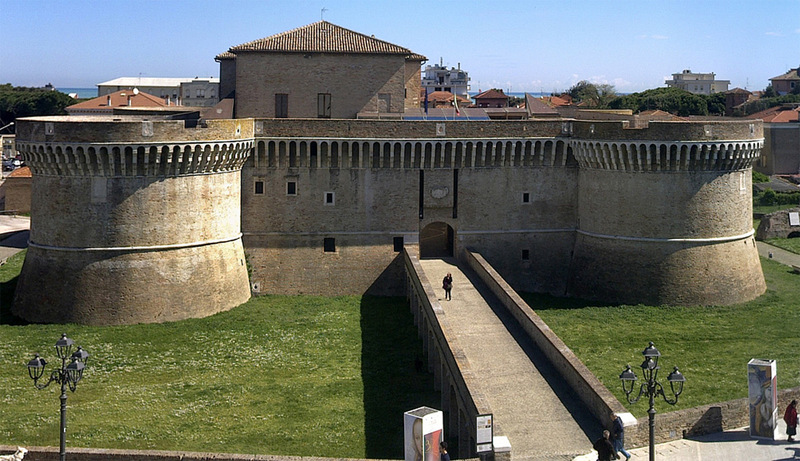 Senigallia offers several places of historical and artistic interest, among these the Fortress of Senigallia (Rocca Roveresca) is one of the most important monuments of the city and was built by Giovanni della Rovere on the remains of an Imperial Roman building of 300 BC. It is one of the most visited monuments in the region and hosts exhibitions, music shows and art events. In 2015, 46,090 visitors were registered. The fortress as we see it today is the result of an evolution process that has developed over the centuries. The monument is divided into two fortresses, one incorporated into the other: the central body, built as a noble residence, is surrounded by the construction intended as a military defence. The large architectural complex is the result of construction phases that took place over the centuries, starting with the first Roman defensive tower followed by the erection of the fortress wanted by Cardinal Albornoz in the fourteenth century, the expansion built under the Malatesta in the mid-fifteenth century and finally the Della Rovere’s intervention in the eighties of the fifteenth century. This last Renaissance renovation dominates over the others. The Ducal Palace is located in front of the Fortress of Senigallia, in a large square. It was built in the middle of the 16th century at the behest of Guidobaldo II Della Rovere, based on the drawings of architect Gerolamo Genga. In later years, Francesco Maria II Della Rovere decided to expand it. Used as a representative residence by the court and its illustrious guests, the building does not have a courtyard, while the throne room is embellished by a coffered ceiling attributed to painter Taddeo Zuccari. 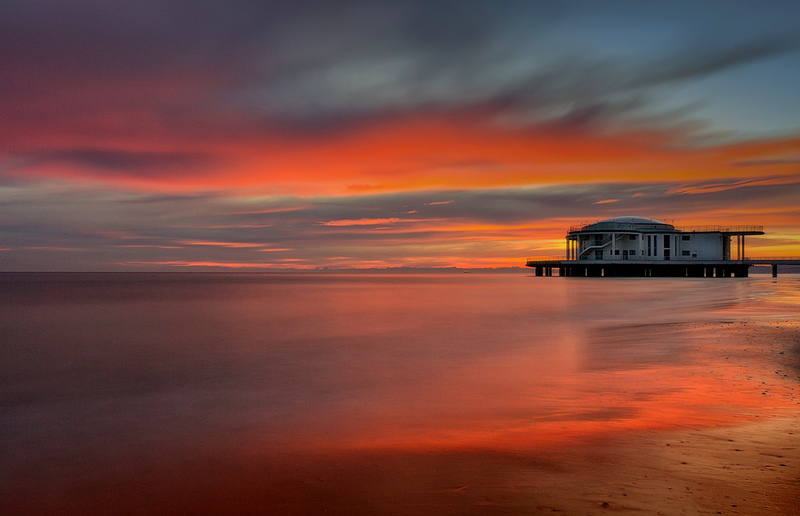 The Rotonda a Mare is a round building with a terrace by the sea, initially erected for hydrotherapy and recreational purposes, overlooking the sea of ??Senigallia. Today it hosts exhibitions and conferences during the summer. The history of the Rotonda a Mare dates back to the second half of the nineteenth century, when architect Vincenzo Ghinelli designed a structure on stilts in front of the ‘Stabilimento Bagni’ beach resort. In 1910 the platform, which was a few hundred meters north of the current position of the Rotonda, was expanded. This project involved the maintenance of the basic shape of the rectangular and elongated Liberty style platform, replacing wood with more resistant materials. The work began to allow the inauguration, on July 18, 1933, of the structure which soon became famous for its musical evenings, to the point that on July 7, 1935 the then Prince Umberto visited Senigallia to admire the Rotonda and to inaugurate the “Colonia Marina Maria Pia di Savoia” beach resort. 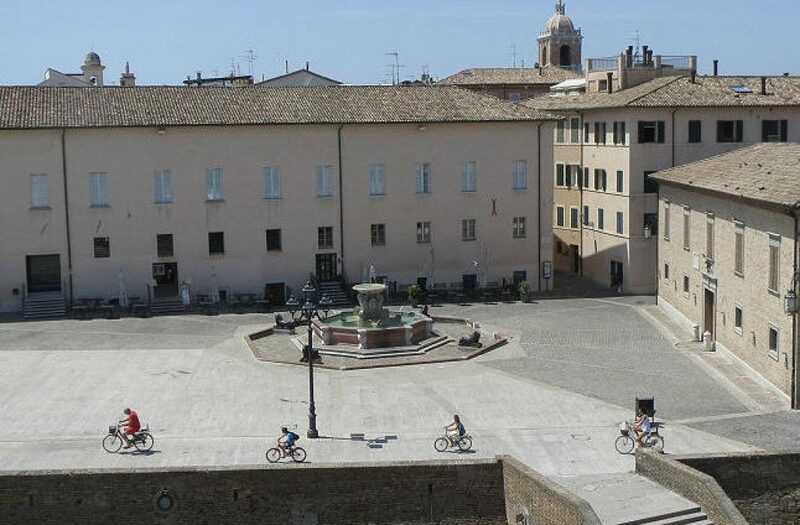 During the Second World War, the Rotonda served as a military warehouse, but once the conflict ended, especially in the fifties and sixties, it returned to be the centre of the local social life by attracting many tourists and top-level Italian artists and pop musicians. It was considered by many as the place that inspired the lyrics of the famous song “Una rotonda sul mare”, sung by Fred Bongusto. However, success faded away with time and the Rotonda was closed at the end of the eighties because it was declared unfit for use. What once was an important tourist landmark remained closed to the public until summer 2006, when the renovation work financed by the municipality and the European Union came to an end. Today, the Rotonda hosts exhibitions and conferences of various kinds, especially during the summer, as well as non-religious weddings and celebrations.